Jennifer Cohen Harper, Little Flower Yoga founder, author, and mindfulness and yoga expert (and parent), has created another unique resource to help children embrace their full potential. Yoga and Mindfulness Practices for Children Card Deck offers over 50 activities to support health, well-being, empowerment and an improved capacity to navigate the many stressors of life without becoming overwhelmed. Beautifully illustrated by children’s yoga teacher, Karen Gilmour, coupled with easy-to-read instructions. Divided into five elements, Connect, Breathe, Move, Focus and Relax, this card deck is a comprehensive yet accessible tool kit for children themselves, as well as for parents, teachers, clinicians and others interested in helping support self-awareness and increased personal power in young people. Jennifer Cohen Harper, internationally recognized yoga and mindfulness expert, has created simple and fun tools to help guide children through the many stressors of life. Yoga and Mindfulness Practices for Children Activity and Coloring Book offers 50 engaging activities, coloring pages and worksheets that support health, well-being, empowerment and an improved capacity to navigate those pressures of life without becoming overwhelmed. Divided into five elements - Connect, Breathe, Move, Focus and Relax - this book is a resource for children themselves, as well as for parents, teachers, clinicians and others interested in helping support self-awareness and increased personal power in young people. Wouldn't it be great if your child could exercise, have fun, and build concentration skills all at the same time? In 2006, the Little Flower Yoga program was developed by teacher and certified yoga instructor Jennifer Cohen Harper, when her successful use of yoga in her kindergarten classroom led to requests by other students, teachers, and administrators for yoga programs of their own. Harper slowly began to teach more and more yoga classes, and eventually recruited other yoga teachers with education backgrounds to continue growing what had become a flourishing program. Little Flower Yoga for Kids offers this fun and unique program combining yoga and mindfulness in an easy-to-read format. Written specifically for parents and kids, the book aims at teaching children to pay attention, increase focus, and balance their emotions-all while building physical strength and flexibility. Based on a growing body of evidence that yoga and mindfulness practices can help children develop focus and concentration, the simple yoga exercises in this book can easily be integrated into their child's daily routine, ultimately improving health, behavior, and even school achievement. The book details the five main components of the program: connect, breath, move, focus, and relax. Drawing on these components, Harper shares practical activities that parents can use with their children both on a daily basis and as applied to particularly challenging issues. And while this book is targeted to parents, teachers may also find it extremely useful in helping students achieve better attention and focus. Jennifer Cohen Harper, MA, E-RCYT, is an author and educator who works to support all children and teens in the development of strong inner resources through the tools of yoga and mindfulness. Her goal is to help kids, and those who care for them, thrive in the world regardless of circumstances, and navigate the many challenges they face with a sense of personal power and self-awareness. As the founder and CEO of Little Flower Yoga, Jennifer brings embodied mindfulness programming and education to schools and community organizations nationwide, serving students, families, educators, and mental health providers. She is an active member of the International Association of Yoga Therapists, and the board president of the non-profit Yoga Service Council, which works to maximize the effectiveness and sustainability of those committed to sharing practices supporting healing, resilience, self-development, community building and positive social change. Jennifer is the author and co-author of numerous titles and card decks, including Mindful Chair Yoga Card Deck (PESI, 2018), Yoga and Mindfulness Practices for Children Card Deck (PESI, 2016), Yoga and Mindfulness Practices for Teens Card Deck (PESI, 2017) and Yoga and Mindfulness Practices for Children Activity and Coloring Book (PESI, 2017). Jennifer’s work has been featured in prominent publications including NY Times, The International Journal of Yoga Therapy, Publishers Weekly, and Yoga Journal and endorsed by thought leaders including Dan Siegel, Sharon Salzberg, Rick Hanson and Congressman Tim Ryan. Jennifer is an engaging presenter committed to collective growth and learning. She offers powerful information in a practical, easy-to-implement format with warmth, humor and joy. Financial: Jennifer Cohen Harper is the founder/director of Little Flower Yoga and The School Yoga Project. She is a compensated author for New Harbinger Publications. Her work on yoga and mindfulness has been featured in numerous publications including The New York Times and the International Journal of Yoga Therapy. She receives a speaking honorarium from PESI, Inc.
Nonfinancial: Jennifer Cohen Harper is the vice president of the Yoga Service Council. She is a member of the International Association of Yoga Therapists. The Yoga and Mindfulness Practices for Children Card Deck is a FABULOUS resource for children and their parents, teachers, coaches. Beautifully illustrated, the yoga and mindfulness practices offered are simple to do yet powerful in their impact. With clear instructions for each practice, and sensible suggestions for organizing the practices into lengthier programs, this teaching tool is a bona fide treasure. The Yoga & Mindfulness Practice for Children Card Deck is a wonderful resource for making these timeless, transformational practices accessible to parents, educators, and care givers from a variety of backgrounds. A must have for anyone that is interested in sharing these practices with children. I first became a fan of Jennifer Cohen Harper when I found her book, Little Flower Yoga for Kids. The book was fun, engaging, and useful for my daughters and me. The Yoga & Mindfulness Practices for Children Card Deck is ideal for taking Jennifer's ideals and practices out of the book and onto the mat. These cards make it easy and enjoyable for kids and their parents to connect, breathe, move, focus, and relax -- practices we could all use a lot more of in our daily lives! The information in this deck is accessible and speaks to what so many kids are struggling with. Many children and their families will benefit from the practices and tools offered in the Yoga and Mindfulness Practices for Children Card Deck. I wish I had one as a child! 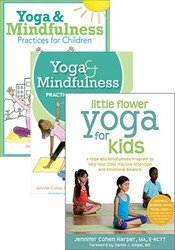 Jennifer Cohen Harper has taken her expertise in teaching yoga and mindfulness to children and her years training teachers and created this incredibly easy to use resource for us all. These exercises work beautifully with children and the card deck gives you a way to create endless yoga classes and mindfulness experiences--right in the palm of your hands! I am thrilled that parents, yoga teachers and classroom teachers now have the ability to add yoga and mindfulness so easily into their daily routines. A creative and simple way to encourage kids to delight in the present moment through yoga and mindfulness. Jennifer Cohen Harper has captured the simple joy of practice in a way that kids can explore, try on, shuffle or blend into a customized experience of being fully here. Fun to read, even more fun to practice, this card deck can inspire endless opportunities for meeting the moment with kindness and presence. 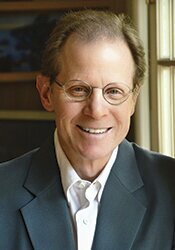 "Yoga and mindfulness really resonate with youth when they are framed as creative exploration. Yoga & Mindfulness Practices for Children Card Deck is perfect for teaching and practicing in this way. Whether it's the end of class or the end of a therapy session, "pick a card" is one of the most fun and most time-tested ways to practice these skills with youth." "Teachers, parents, therapists, counselors: Get these cards before they're gone! The Yoga & Mindfulness Practices for Children Card Deck is so much more than a deck of cards. This series is brilliant. The drawings are explanatory and relatable and the practices cover not only yoga shapes, but the heart of yoga as well. The deck is a well-organized, easily understandable tool that can guide any child or group of children through breath, focus, awareness, and connection." "This is exactly what I need! The deck is anchored on an effective kids yoga curriculum, comprehensive, inclusive, and well-organized. With the detail and accessibility that can only come from an experienced educator and author who loves and lives mindfulness and yoga, each card thoughtfully shares a practice through illustration and explanation. Due to this flexible format, the cards can be used exclusively or paired with a yoga and mindfulness curriculum. The delightful illustrations by Karen Gilmour are representative of children of a range of ethnicities and abilities. I highly recommend these cards to school teachers and personnel, and yoga teachers."